Lifetouch Inc. is an employee-owned photography company. The company provides photography for families, schools and places of worship, with operations in all 50 states, Canada and Puerto Rico. 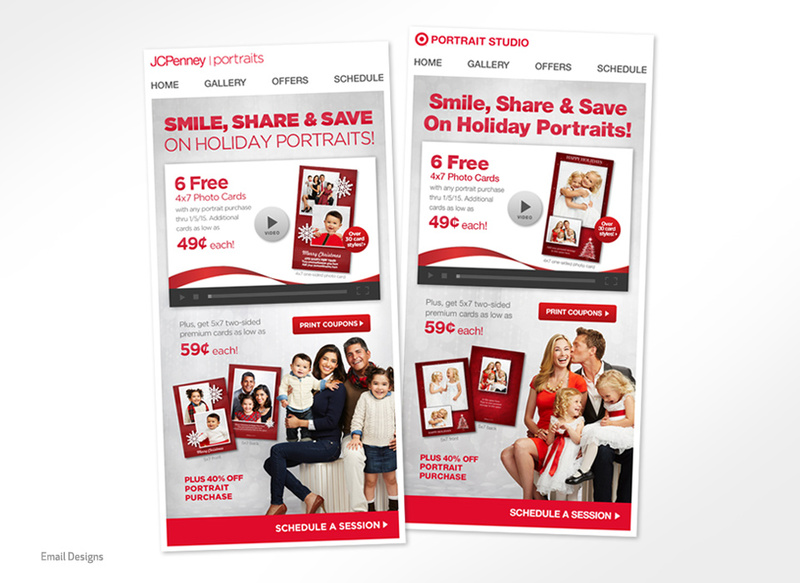 Lifetouch Portrait Studios Inc. is represented in the retail market by some 800 photographic studios, including JCPenney Portraits and Target Portrait Studios. 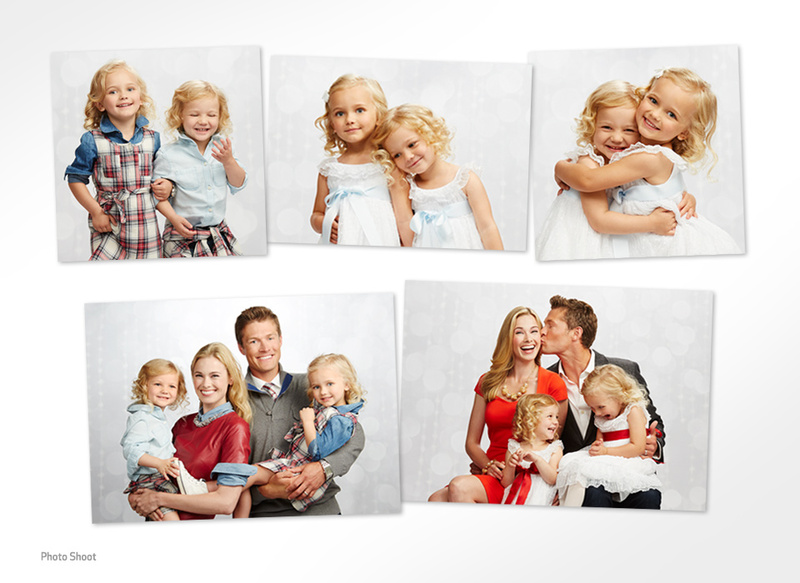 Lifetouch engaged us to produce a new holiday campaign. 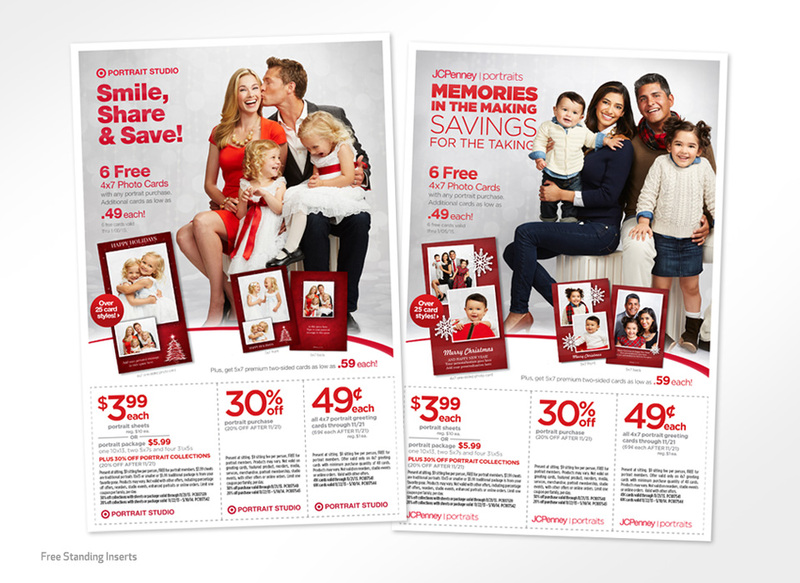 The campaign was produced for JCPenney Portraits, and Target Portrait Studios. 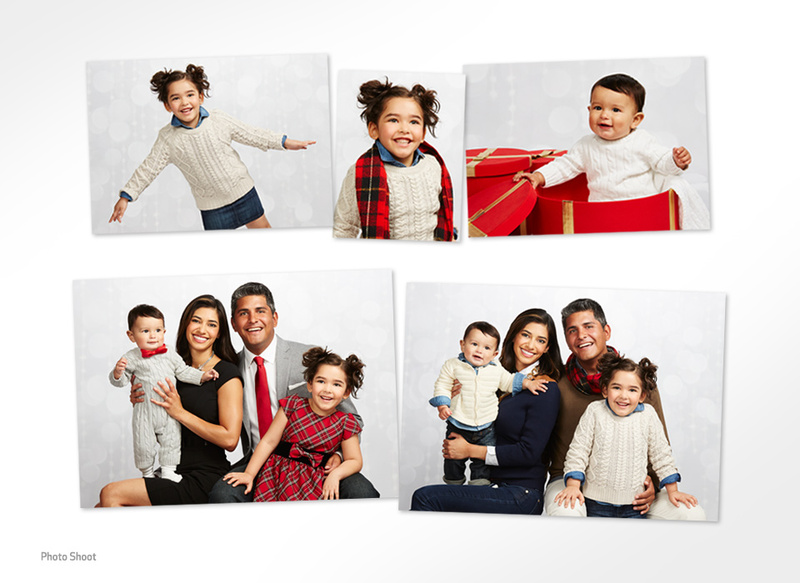 We created a look and feel for the campaign and then had a custom photoshoot featuring a hispanic family for JCPenney Portraits, and a caucasian family for Target Portrait Studios. 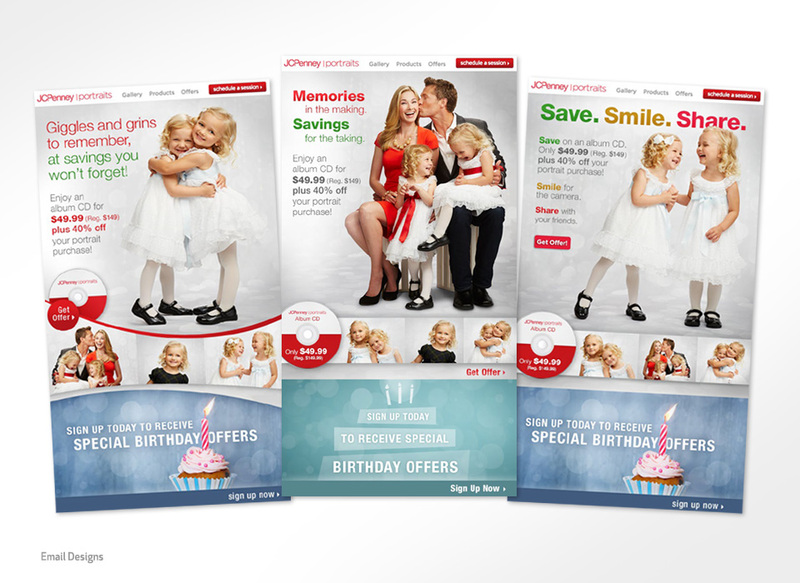 The photography assets were then leveraged across sales and marketing materials for each store which included FSI’s, email, direct mail, in-store signage, banner ads, and websites.